It’s Memorial Day weekend and that is the official start of BBQ season! Those fun filled get-togethers this weekend with tons of food and friends are a fantastic way to celebrate our brave veterans, the great weather and end of school, but they can really do damage to your summer waist-line. A typical plate can be well over 1,700 calories, 86 grams of fat (26 of them being saturated), 357 mg of cholesterol and 3,508 mg of sodium. This is what that plate would look like: a hamburger on a bun, a bratwurst on the side, a brownie, potato salad and baked beans. Now separately, those things are not the worst foods in the world, but pile them all high on a plate and devour them in one sitting, and it’s a calorie catastrophe. Choose the right meat. If you have a choice, choose grilled chicken, turkey burger (93% lean) or very lean hamburger (93% lean). You will get a great protein pump without all the calories and fat (especially saturated fat) of the fatty burgers and brats. Satisfy your sweet tooth with fresh fruit. It’s in season so it’s readily available. Again, it’s nutrient packed and much lower in calories than the typical baked goods. Only eat what you really REALLY want to eat. If you LOVE baked beans, have a little bit…not a bucket-full…but get a nice little taste (like ¼ cup) and be satisfied. If it’s brats that you drool over, have a half of one for your “meat” and call it a day. Bring something to the party that you can nosh on without guilt: think veggie tray (that’s what I bring to every party), fresh fruit or this delicious quinoa dish. Drink plenty…of water. Drinking water can keep you full and drinking alcohol can lower self control. Also, sometimes the body can’t tell between thirst and hunger, so drinking water before eating something is always a good call. Don’t go hungry. Make sure that you aren’t tempted beyond what you can bear because you went to the BBQ ravenous. Eat some of veggies and hummus, and apple with a tablespoon of peanut butter or a couple slices of turkey before heading to the party. Socialize AWAY from the food table. Don’t sit around or stand around talking and snacking at the food table. Get your plate and get away. That way, you won’t be tempted to just grab some more chips or pop another cookie in your mouth. Check out this tasty, healthy (and very full) plate! I talk about this spice all the time but I don't think I've shared it in a while...more maybe ever (gasp!) 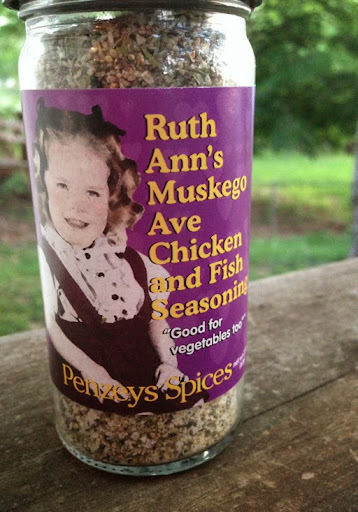 I put Ruth Ann's Muskego Ave Chicken and Fish seasoning on EVERYTHING. Well, not everything, but a whole heck of a lot of things. It's my way of making things super tasty without adding calories. I put it on ALL vegetables, eggs, sweet potatoes, etc. It's calorie free (yeah!) but if you're watching your sodium intake watch how much you use since it isn't salt-free. Otherwise, grab some at Penzy's Spices and enjoy! 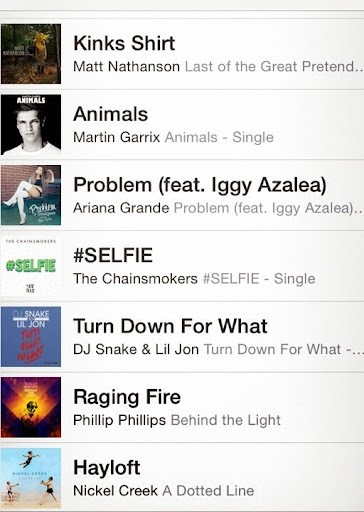 Get ready to run faster, hit the punching bag harder and lift heavier with this heart thumping playlist! Tabata Workout to make you feel GREAT! Enough of this cruddy weather. We need sunshine and warmth for goodness sake! But for today, try this workout in the comfort of your own home and release some feel good hormones to help you survive until spring decides to show up. So my boys loves pasta...all kinds of noodles. However, a 1-cup serving of cooked spaghetti is approximately 225 calories and basically stringy gluten. So if you are avoiding high calorie food and gluten (like I do) it's pretty much a plate of the enemy. So I'm always trying new veggies to use as my "pasta" for Italian night at the Heide's. So let me introduce you to my newest favorite way to go gluten-free and shave 200 calories from my plate: broccoli slaw. 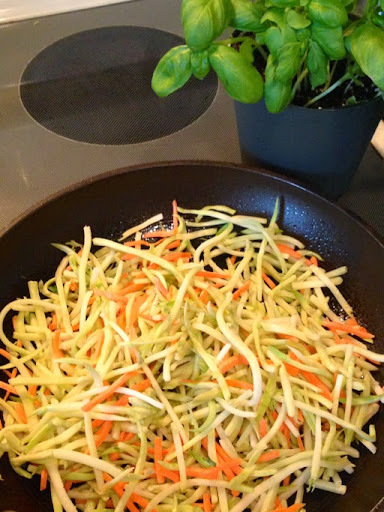 Basically, broccoli slaw is shredded broccoli stalks (the part that most people don't eat). So even though I think it's sort of a genius conspiracy to just get people to pay money for something that no one really wants to eat, this veggie is totally delicious under some meaty pasta sauce with other veggies. All you do is saute it with some cooking spray and fresh herbs like basil and oregano. Throw some salt and pepper on it and viola; a delicious 25 calorie (and fiberlicious) sub for pasta.